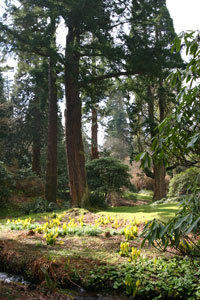 The Botanic Garden at Dawyck, just 11 miles (18km) from Cormiston Farm. 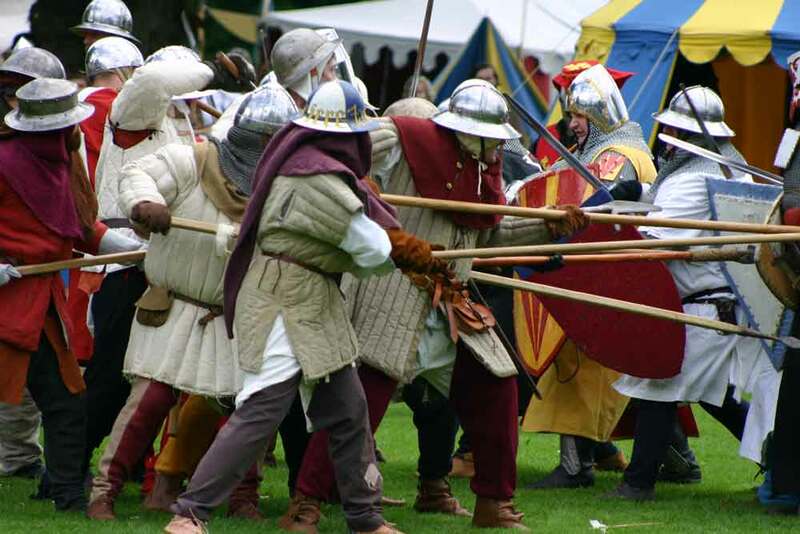 Surprise yourself with the many things to see and do in the Clyde Valley. 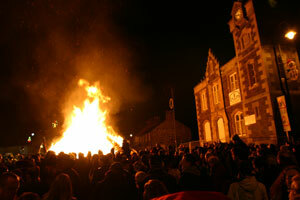 Biggar is a market town retaining its medieval layout, along the A702, just 2 miles from Cormiston Farm. Surprise yourself with the many things to see and do in the Clyde Valley. Biggar and Upper Clydesdale Museum was formally opened by the Princess Royal on Friday 16th October 2015. 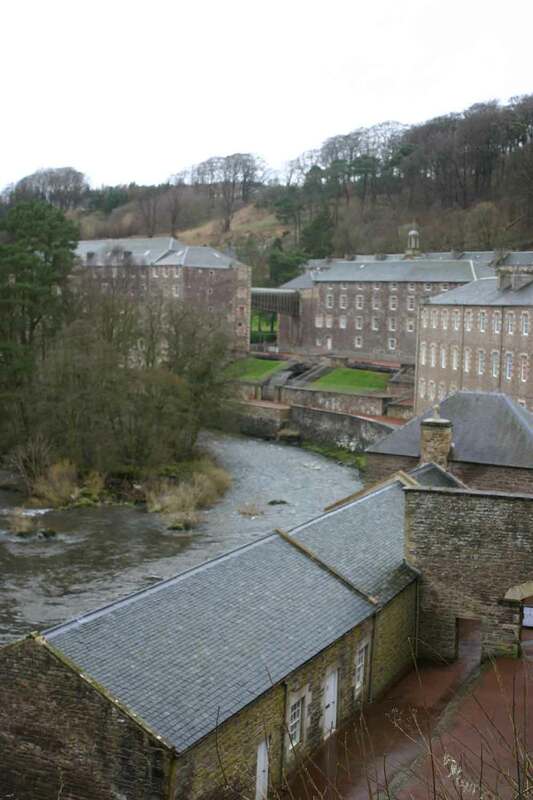 New Lanark is an 18th century village, built from 1785, in the steep gorge of the Clyde Valley just 1 mile from Lanark. 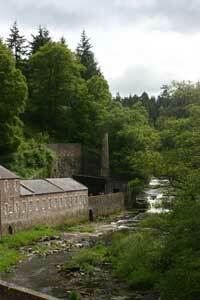 The industrial buildings took advantage of the force of the Clyde to power the processes of the textile industry. The social housing and workers conditions were many years ahead of their time. Still inhabited, the town is now a United Nations World Heritage Site. Enough to see and do for a whole day. (10 miles from Cormiston). 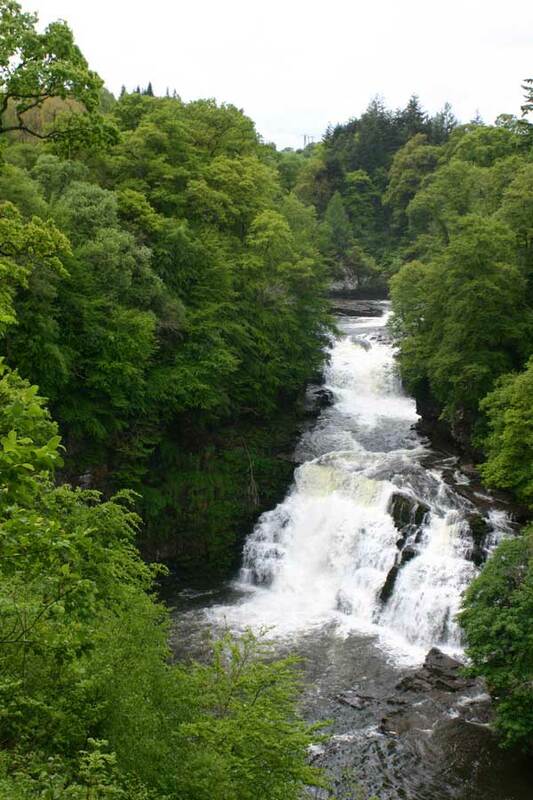 The Falls of Clyde are a short walk up-river from New Lanark. 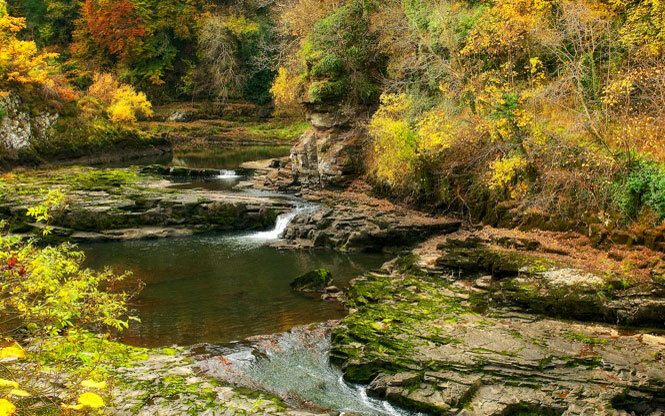 The walk along the river gorge is through a well signposted nature reserve, managed by the Scottish Wildlife Trust. 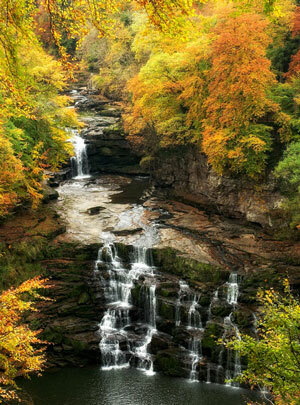 The largest fall, Corra Linn, drops some 27 metres down the gorge. Mountain Biking in Glentress Forest Just 35 minutes (22 miles) from Cormiston Farm enjoy some of the best trails in the United Kingdom. We are cyclist friendly accommodation and are delighted to provide secure sheds for your bikes, washdown facilities (including jetwash if needed) as well as laundry service and drying. Just let us know what you need. 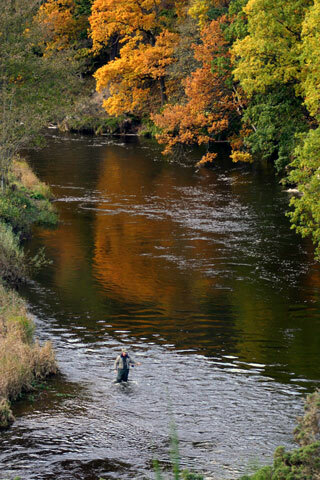 Fly Fishing There is good fly-fishing for Trout and Grayling on the Clyde not far from the farm. For details on costs, rules and permits visit Lamington and District Angling Improvement Association. 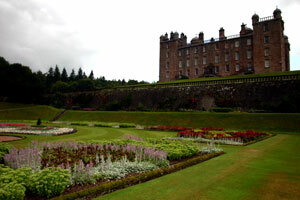 Drumlanrig Castle in Dumfries and Galloway lies within the 120,000 acre Queensberry Estate. Beautiful gardens surround the magnificent house completed in 1691. There are woodland walks, cycle routes and mountain bike trails. It is about one hour by car from Cormiston Farm. 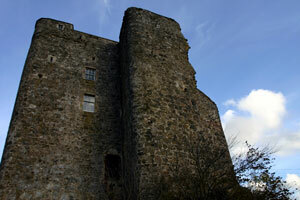 For adventures further afield why not try a Guided Walking Holiday in Scotland with Thistle Trekking. From single day walks to long trails like the West Highland Way. The Falls of Clyde (Corra Linn) in full flood.